Thanksgiving Day is the perfect holiday for relaxing, catching up with family members, watching football and stuffing your face. However, those of us SWEATING OUR TUSHES OFF while painstakingly preparing the meal might agree to differ. There’s a lot of action going on in the kitchen, is all I’m sayin’. Now, most of the non-food preparers simply steer clear of the general vicinity, allowing ample space for the cooks to perfect their final touches, but what about the kids? For the under 6 set, I don’t think a 3-hour football game and/or discussion about current events is going to keep them remotely interested, and most importantly, out of the kitchen. 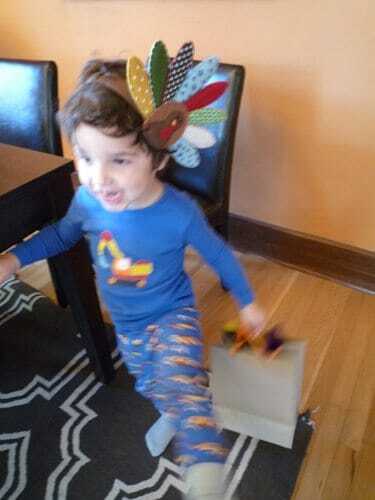 Enter the Thanksgiving Feather Hunt! Our family’s super fun way to keep the little ones occupied while some of us desperately try to perfect grandma’s gravy recipe. 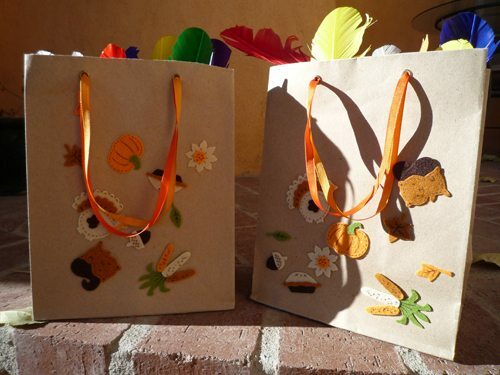 While the kids are busy decorating their sacks with stickers, have one of the lazy football fans get off his rump and hide the feathers around the house. When the feathers are properly hidden, let the little ones loose! Are they excited or what? 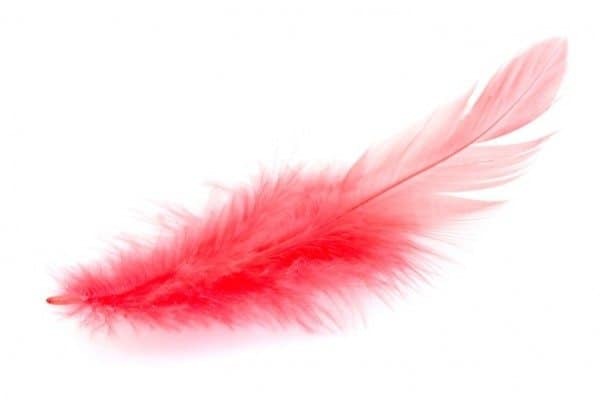 After they spend a good chunk of time searching for feathers while you cook, the kids can finish the hunt by finding for the perfect place to spotlight their bounty. Easy peasy, right? I’m thinking a paper snowflake hunt might be just around the corner for our Christmas dinner preparation. 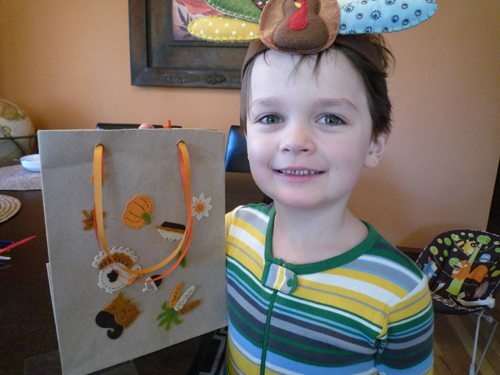 Sarah James writes about her daily life and family at her personal blog Whoorl. We often publish pieces by guest contributors. 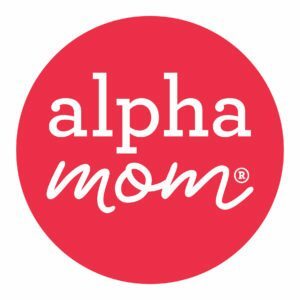 If you’re interested in being one, please drop us a line at contact[at]alphamom[dot]com. This seems a little late in the season. Great idea to keep the little ones occupied though. An idea….. 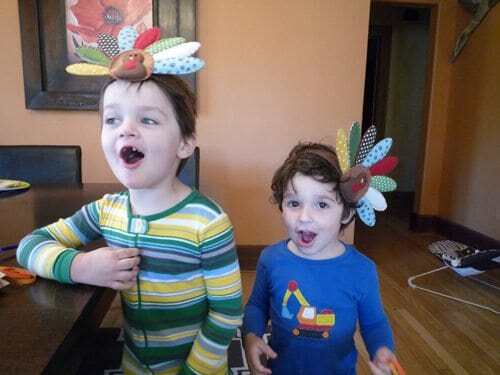 I would make just the band for the headdresses out of construction paper and have them hunt for the feathers. When they’ve found them all have them glue or duct tape them to the inside of the band. Whomever finds the most feathers would have the biggest headdress 🙂 I think I may institute this at our house next year!